A steady flow of chocolate for a year. 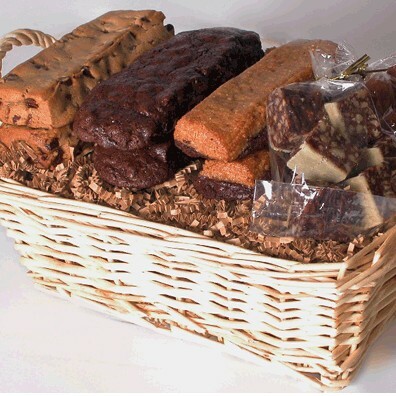 You or those you care for receive 6 gift baskets a year distinctly created and shipped for holidays including Christmas or Hanukah, New Years, Valentines, Halloween, Thanksgiving and one Birthday of your choice. 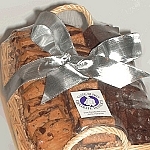 All sealed in clear cellophane and decorated with a ribbon of your choice. Basket measures 12"X8"X4".